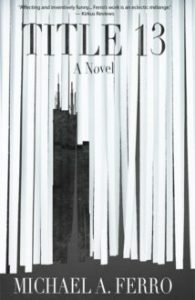 Michael A. Ferro’s darkly comedic debut novel, TITLE 13, is the story of a missing government census document, a deep and complex relationship with home and family, a man losing himself to alcoholism, and the usual contenders: life, death, and love. 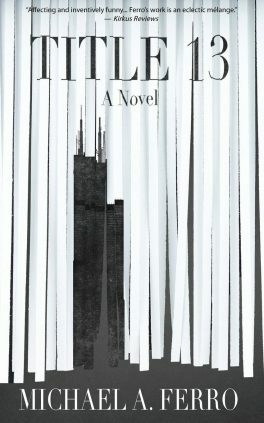 It’s also the first documentation of the Midwest’s experience during The Great Recession that I have come across in a work of contemporary fiction. As a Midwesterner myself, I am grateful that Ferro has taken on the role of regional archivist and has used this story to showcase the rich history and culture of the “flyover states.” Told from the perspective of Heald Brown, a middle-aged man who finds himself in the midst of a classified investigation, the plot weaves together government secrets and pressing concerns with privacy and security with existential musings and soul-searching digressions. The book itself is almost 500 pages long, and yet I never felt that length thanks to the clear, fast-paced prose and the well-rounded characters. Heald himself is a deeply flawed protagonist; he’s obsessive, sarcastic, misunderstanding, emotional and is desperately trying to make sense of the chaotic world around him. This may be the exact reason he is just the person we want to follow through the streets of Chicago and Detroit as we teeter on the edge of another day in 2018. We realize that our concerns are Heald’s concerns, and Heald’s concerns are the world’s concerns. 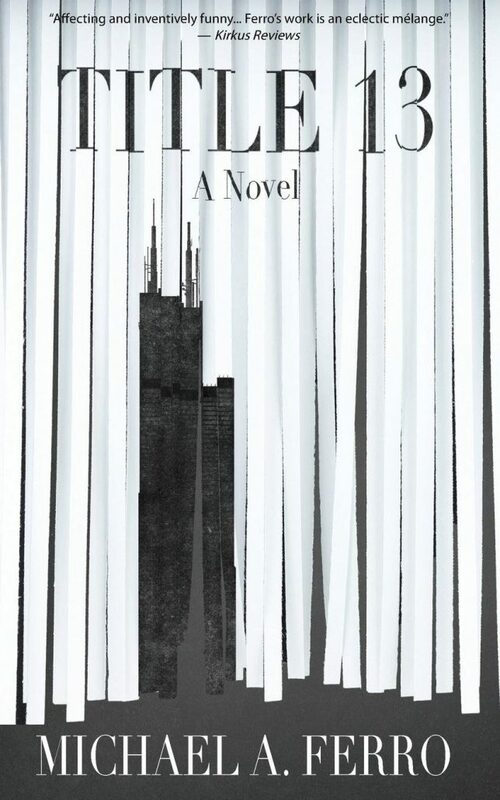 Michael A. Ferro’s grand first novel churns fiction with a striking realism, and in his doing so, Ferro has successfully brought the Midwest back onto the literary map.